I just looked at the calendar and realized that we are turning three years old in one week. I was amazed. The time has simply flown by. When we started up over three years ago, our business model was so different than what it is now. Then, when we turned two, I was so busy, I could barely acknowledge it. But this past year has been another of change and of many great things. Working With Professionals: The past three years have seen a lot of changes and what I love about our state of affairs right now is that I work with some of the most professional folks I’ve met. They take their jobs as writers seriously and are interested in making a go of it in their writing. Our conversations are intelligent and insightful and while not all of them can make writing a full-time job, they treat it with the same respect as they do their regular careers. Books I’m Proud To Release: The beauty of maturing in this industry is that I can pick and choose the types of books I want to work on. Most of the work in this little house is done by yours truly, so I like being able to choose the books and people I want to work with. I’ve scaled down the number of books I work on and pick the ones that mean the most to me. Books that are fun, that entertain, that enlighten, that make me feel. It’s as though I run a vanity press – although the books that come out aren’t for the ego of the writer, but for my own and the people I work with. Knowledge I’m Happy to Share: I am getting more and more emails and requests from people asking my thoughts and opinions on the industry and what it’s like to be a small press. I’m still amazed that they think I’m an ‘expert’, but I do pride myself in having amassed some industry knowledge and I’m happy to pass that on to those who might be starting out on their own. I have a few pet peeves, mainly on the direct copying of some of my ideas, but hey, they say that imitation is the highest form of flattery. Working Efficiently: When I first started out, the simplest of tasks took forever. Now, thanks to some of the amazing professionals I’ve met, we’ve got a workflow that works well. I’ve invested in tools, people and know-how so that I can make good and good-looking books that rival those of the larger houses. So what’s next? Hmm, I’m not sure yet. I do know that I’m still willing to try anything. I want only the greatest of successes for the authors I work with. They’ve written great books that should be read. They’re hard working and kind people who deserve good things in their lives. My challenge is to figure out how to get more people to read their books. How do I do that? Well, there’s a few tools in the kit, but I need more. I think we need a publicist. Who knows – maybe by next year I’ll be blogging that we got one? What I do know is that Central Avenue Publishing is here to stay. We make great books by great people. And of that, I’m very proud. One of our very first books as a publishing house was the first instalment of Can You Hear Me Now? A haunting look back through the graphic memories of a woman who endured ongoing abuse at the hands of her parents. Originally it was published ‘as is’; it fell under our old publishing model which was supported self-publishing. We then released the second in the series about two years ago. As we’ve grown and morphed, we have decided to launch the final instalment as a full book, which incorporates all parts of O’Sullivan’s story into one fully edited digital and print book. This book culminates in the event which brings a degree of closure to her pain, continues to haunt the reader well after they put it down. The beauty of the story is in the redemption. It represents the blossoming of a soul who had lost all faith but has grown out of the muck to be a majestic tree providing comfort and a home for other lost souls. We commend Annie on her strength, her ability to love and her desire to reach out to others who find themselves in similar situations. Read this book and you can’t help but evaluate your own life, the way you treat people and what you can accomplish. Annie O’Sullivan served in the United States Marine Corps and following a hospital stay and two years of disability she went on to log ten years of counselling. She has since earned two Masters degrees and maintains a rewarding career in land management. Her own successful family has grown to include multiple grandchildren, dogs, cats and several fish – all happy and well. Against The Odds: Life Is Good. Recently, I had the pleasure of meeting up with a great gal over at Popular Soda who works with Wolfpack Publishing, which is reddit based communal publishing house run by direct democracy and open source software. 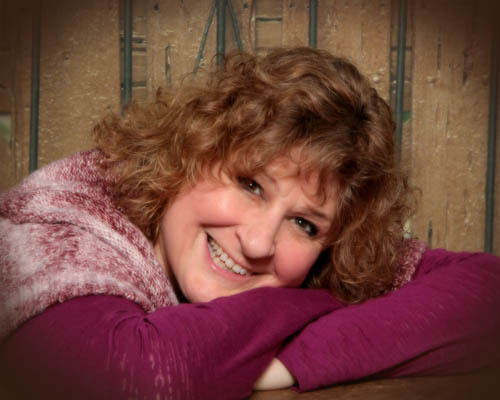 Come find out more about me, Central Avenue Publishing and what a day might look like for us.